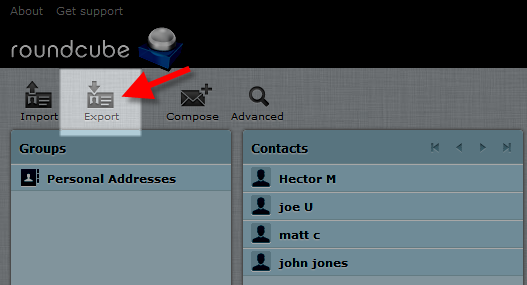 Once inside the RoundCube/webmail, click on the Address Book icon from the top menu. 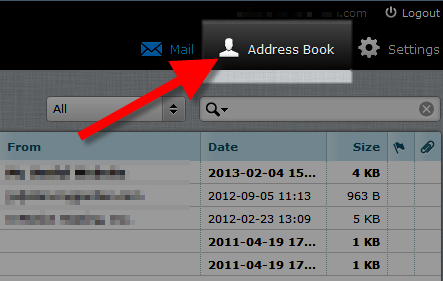 Click the Addres Book you want to export, then click the Export button located in the upper left of the screen. 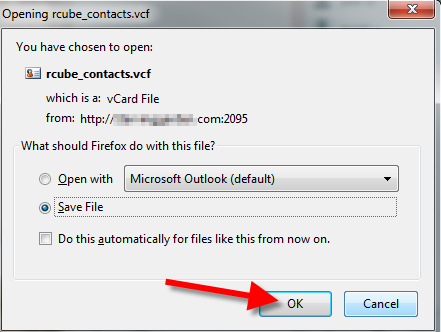 You will receive a popup window asking to save the file to your computer. Ensure the Save File option is selected and click the OK button. This will save the file to your local machine.